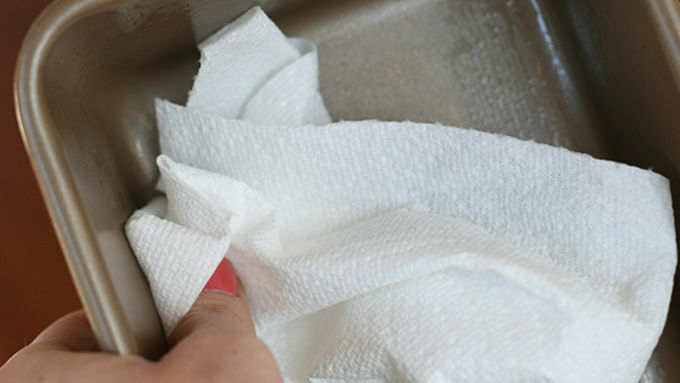 Lightly coat 4 small pans with cooking spray, and then using a paper towel, wipe them out. This will leave a light residue to help unmold your shots, but won't affect the taste. 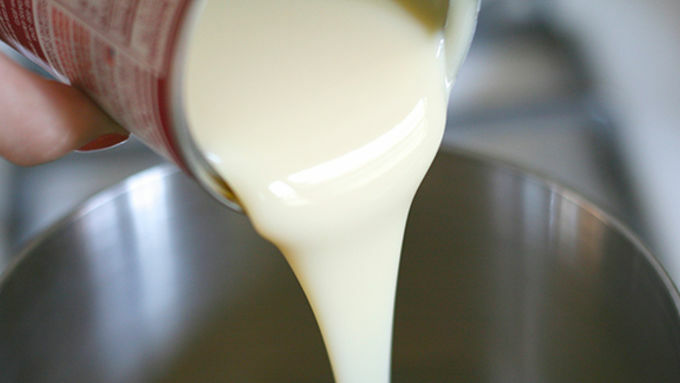 Pour in one can of sweetened condensed milk and thoroughly combine (you will have about 2 cups liquid at this point). Add 1.5 cups marshmallow vodka and 1/2 cup of cold water. 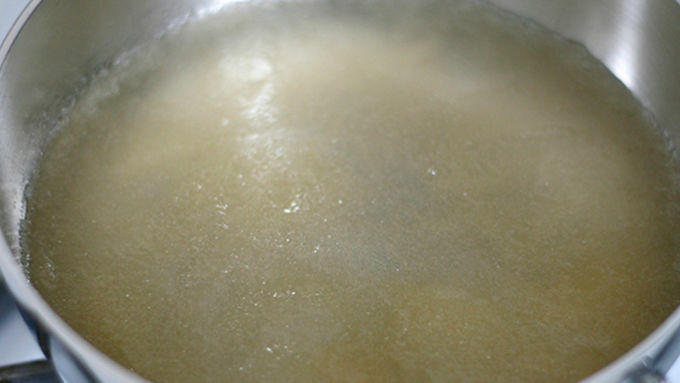 (To make stronger shots, you can use up to 2 cups of vodka and omit the additional water). To make non-alcoholic PEEPS®, substitute (more) cold water for the vodka. Pour 1 cup of the mixture into each pan. Using food coloring, add enough to achieve the desired color. For the pastel pink, I used 2 drops of neon pink food coloring. For the lavender, use 2 drops of neon purple food coloring. For the blue, use 2 drops neon blue food coloring. For the yellow, use regular yellow food coloring (about 6 drops). Stir to thoroughly dye each pan. Refrigerate for at least 4 hours or overnight. 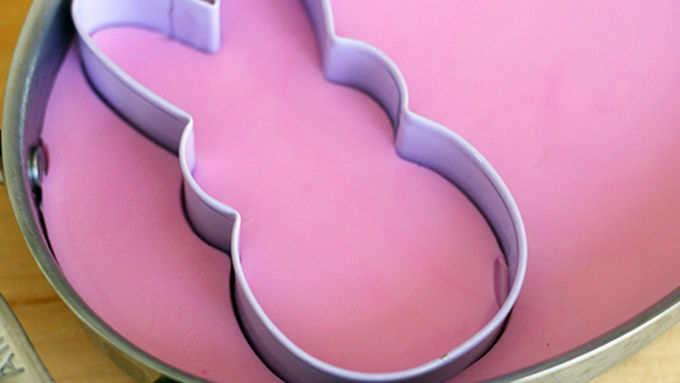 When you're ready to serve, gently use the cookie cutters to cut into PEEPS® shapes and place on a platter. Using mini chocolate chips, create faces by adding eyes for the chicks and eyes and noses for the bunnies. 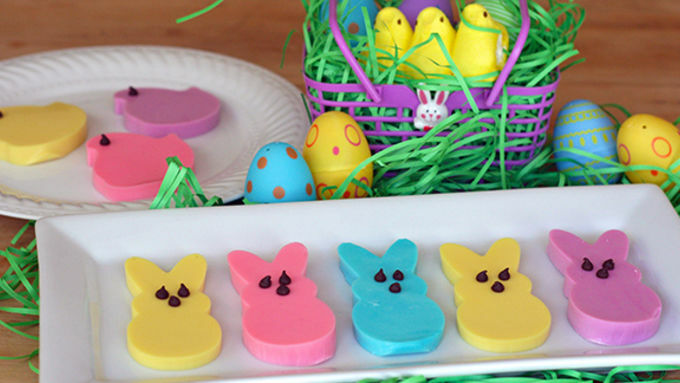 "Peep" these cute marshmallow flavored jelly shots shaped like the classic Easter treat. Nothing says “Easter” like marshmallow Peeps. 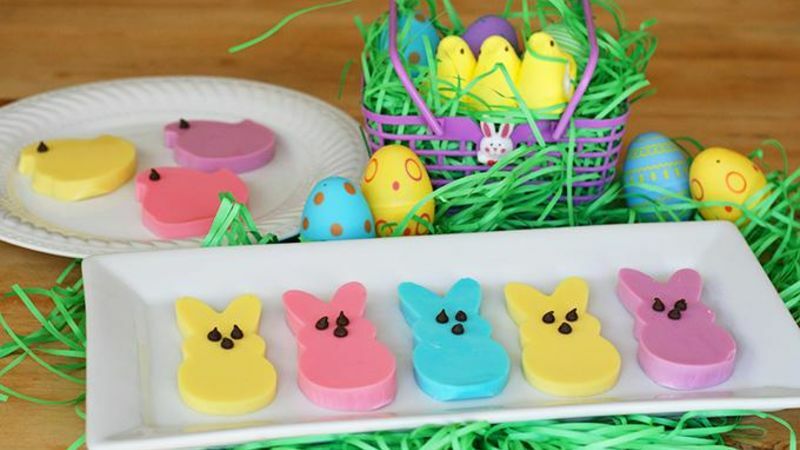 And nothing says “Easter for Adults” like marshmallow-flavored Peeps jelly shots! (Hey, who says the kids get to have all the fun?} To make these, you'll need a set of these Wilton Peeps cookie cutters. If you can't find these in stores, you can always try finding some online. 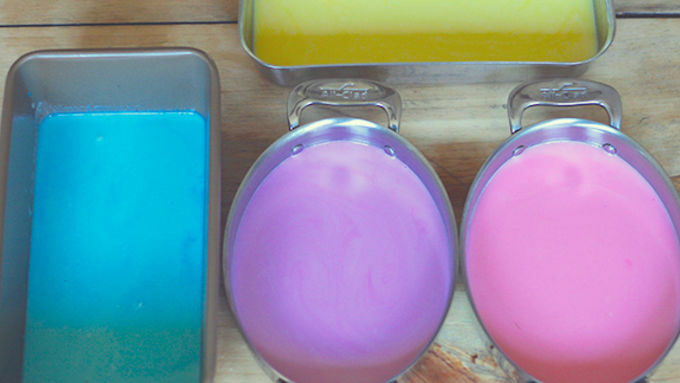 You'll also need four small pans, one for each color (pink, lavender, blue, yellow). I used a combination of a loaf pan, small breading pans (slightly larger than half of a square baker), and small oval bakers. To ensure you have a small enough pan, pour a cup of water in and make sure the shots will be thick enough (roughly half an inch). You'll love these Easter chicks and bunnies with a boozy twist! Happy Easter! !